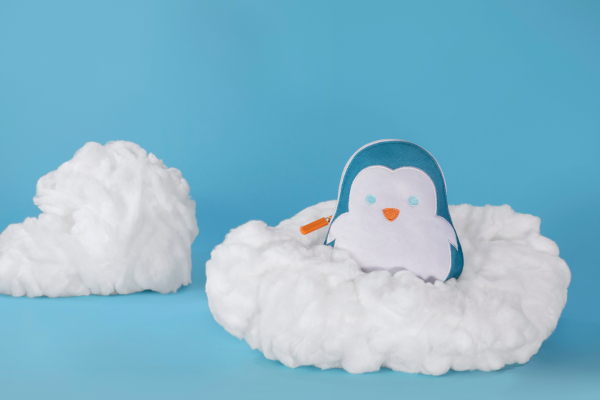 You are at:Home»News»Airframer News»Boom! Business class is about to go supersonic again! Boom! Business class is about to go supersonic again! Following the raising of an additional US$33 million in funding, Boom CEO, Blake Scholl has stated that the company now has US$41 million in capital resources – sufficient to finish building the XB-1 Supersonic Demonstrator, execute a flight test program, and “set a new speed record for civil aircraft”. So why is Scholl pursuing such a technologically challenging, heavily regulated and capitally intensive project? Money? Vanity? “What really drives us is the enormous human benefit of faster travel,” according to Scholl, and the XB-1 will be fast, if developed: Mach 2.2 fast. So what are these human benefits that Scholl envisions for those who can afford to fly in a 45-seat all-premium class XB-1? “Imagine traveling across the Atlantic, getting business done and being home to tuck your children into bed. Or saving two whole days of a typical round-trip itinerary to Asia. When time is no longer a limit, where will you vacation? Where will you do business? Will you fall in love with someone from another continent? And how much more time will you have at home with the people who matter?,” he stated. Boom believes that people will pay for this time and convenience, especially since today’s business class passengers pay four- or five-times as much as economy ticket holders to fly, yet arrive at the same time. With premiums also paid for non-stop flights, Boom executives believe it is reasonable to expect higher fares for still faster service. 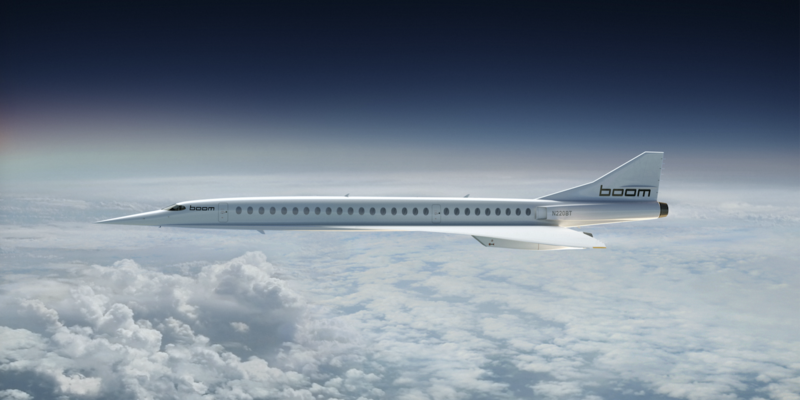 So what will the Boom supersonic experience be like? 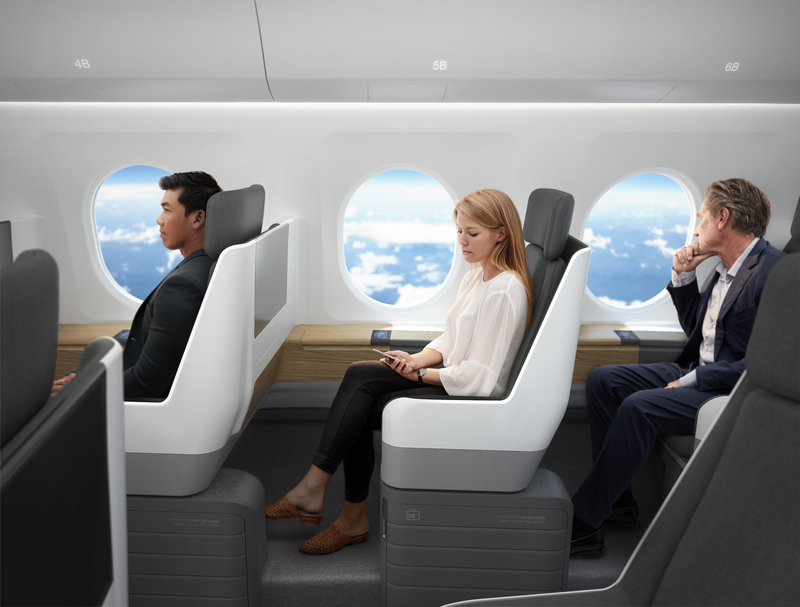 According to the company, the design team is aiming for a tranquil and stress-free experience, with each passenger enjoying a large personal window, direct aisle access, and a dedicated overhead stowage bin. 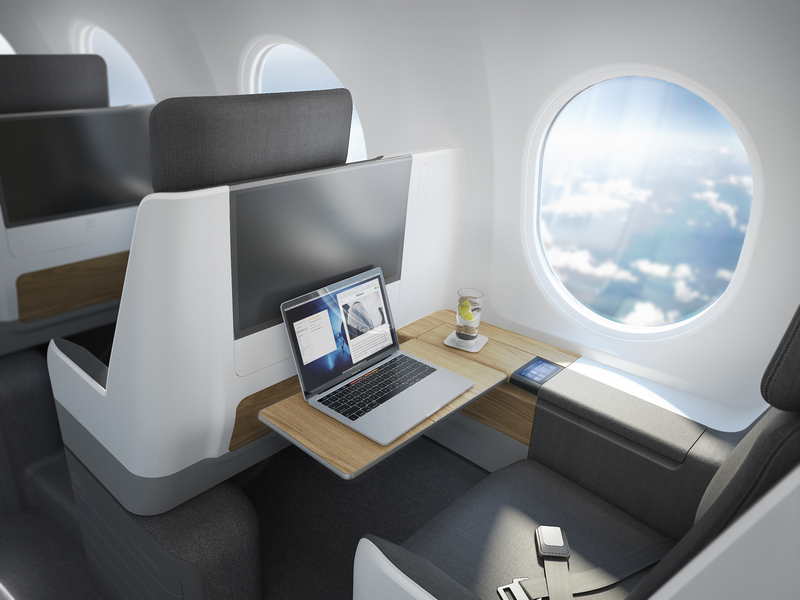 Seat dimensions are expected to be similar to short-haul first class, while for flights over six hours (flights which would take around 15 hours on today’s long-haul passenger aircraft), airlines may offer a first-class lay-flat suite experience. The 45-seat capacity was chosen as this is a similar number to that found in the business class cabin of a typical wide-body aircraft. 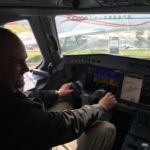 “If you can fly a wide-body aircraft with good load factors, you can also fly a Boom aircraft with the same schedule with good load factors,” according to the company. The Boom jet can also be configured as an ultra VIP personal or business aircraft. 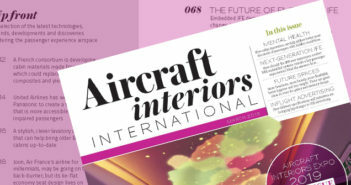 We wish Scholl luck with his venture, and with realizing his dream for the US$200 million aircraft (plus options and interior). If you have an interest in what the supersonic passenger experience could look like, we have expert insight in this EXCLUSIVE FEATURE.